The federal government’s decision to lease land on the other side of the mountains, and miles away from the Great Sand Dunes National Park, has been delayed so the feds can consult with the Navajo Nation. Of course there are no Navajo reservation lands in the entire state of Colorado. But, after months of wrangling from the Sierra Club to block the lease any way possible, it is suddenly discovered the Navajo Nation owns 26 acres somewhere north of the proposed site. We don’t know how near or far that property is from the proposed leases, because the media conveniently keeps forgetting to inform us. What we do know, is the Navajos only purchased the property last year, which is when the lease sale was announced. And guess what? The Navajos now say the whole area is sacred to them, again, for reasons unknown except that it’s very pretty. When it comes to environmental politics, there’s no such thing as a coincidence. Those radical elites at the Sierra Club are experts at manipulating the masses to oppose energy production. At the same time, the Earth-hugging groups manage to line their own pockets with millions of dollars collected by unwitting sympathizers. 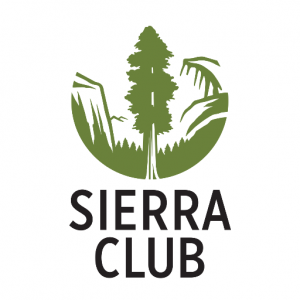 The Sierra Club, which has collaborated in the past with the Navajo Nation, it’s no coincidence they would do so again. We seriously doubt the sudden investment last year by the Navajos of land somewhere in the vicinity of an energy lease sale opposed by the Sierra Club is just a coincidence. The media are too afraid to question the motives of either group, for that would be politically incorrect. But we question it, and we think the whole land deal stinks to high Heaven.